Everyone suffers with hair problem. The good hair improves personality. There are many oils that improves the condition of hair. Argon Oil: Heat argon oil in one bowl. Apply this oil in hair. You can also apply it on scalp. Leave it for night and wash your hair in morning. 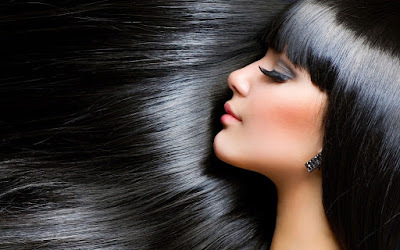 Coconut Oil: It has fatty acid that makes hair smooth. Warm it and leave it for overnight. Do this twice in a week so that you will get good benefit. Avocado Oil: It has high amount of anti-oxidants that makes hair smooth. Take few drops of avocado oil and mix 1 teaspoon olive oil. Apply it on hair. Wash it in morning. Do this 2-3 times in a week. Jojoba Oil: It has nourishing properties that helps to improve condition of hair. Take 4-5 jojoba oil and mix it with conditioner. Apply this mixture after shampoo your hair and wash your hair. Do this at least once in a week. Almond Oil: Papaya is very beneficial in dry and damage hair. Apply almond oil in your hair. Massage it in your hair. Wash your hair after 2-3 hours. Do this 2-3 times in a week. Rosemary Oil: It makes hair smooth and soft. Take 4-5 drops of rosemary oil and mix 1 teaspoon coconut oil. Apply it in your hair for 40 minutes. Do this remedy at least one time in a week. Olive Oil: It gives moisture to the hair. It makes hair thick. Apply olive oil in hair before 45 minutes of bath. Do this 2-3 times in a week. Vitamin E Oil: It has many nutrients that improves hair. Take two capsules of vitamin E and massage it on your hair. Wash it in the morning. Do this 2-3 times in a week.